Ready to help women in our community? 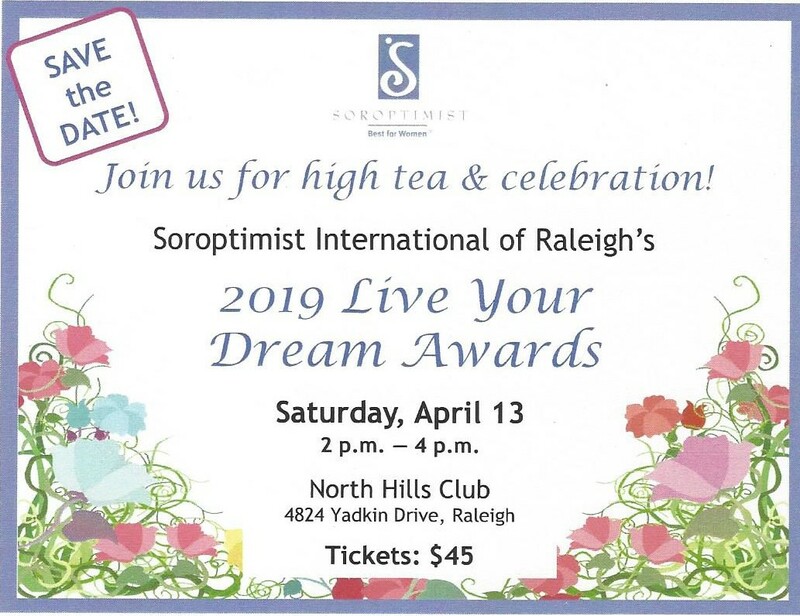 Join Soroptimist International of Raleigh. We’re continually welcoming new members. In addition to membership, you can get involved by volunteering with us, or making a donation. There are even more ways to get involved: become a guest speaker at our monthly meeting, sponsor a community service project, or partner with us to serve our local community. Whatever way you choose to get involved with Soroptimist, your energy and enthusiasm will benefit women and girls in our local community. Get involved today!